These are little boards based on the Samsung "6818" (the s5p6818). This offers 8 ARM Cortex A53 cores running as fast as 1.4 Ghz. These are ARMv8 (64 bit) cores. At a price of $35, it was hard to resist, and I bought two. 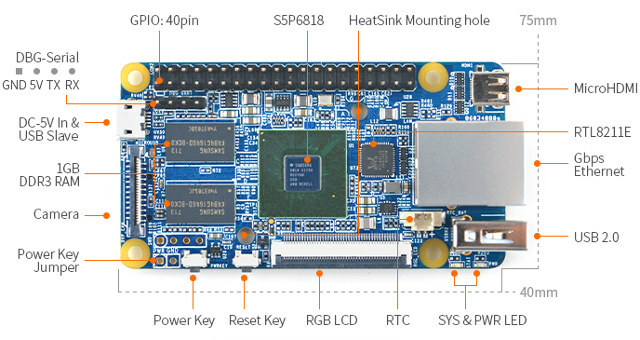 I have no interest in running linux on this board (so don't expect much on that topic here), but intend to first do bare-metal coding, then move on to getting my Kyu RTOS running. Booting: bare metal, USB loader, on-chip bootrom, etc.